This post originally appeared on Hozier’s Guitars Storify on July 3, 2015. Hozier’s Cherry Wine video was released 2 years ago today on 3 July, 2013. It has been viewed more than 3.6 million times on YouTube. The audio for Cherry Wine was recorded live with the video, complete with the dawn chorus of birdsong. It is the same recording that is found on the Take Me To Church EP and Hozier album. The video and accompanying photos were shot by Dara Munnis. The session yielded this iconic photo of Hozier. Probably my most viewed photo of the last 12 months. Andrew Hozier Byrne. @AllTheAnnies @Hozier Totally real too. Everything you hear is going through that single mic. 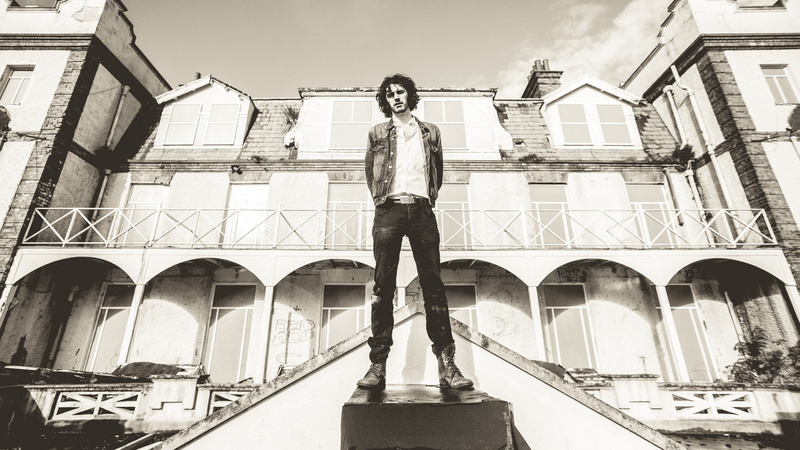 Hozier tells the story of recording the song and video on the LaTouche Hotel rooftop for the first time at The Red Room @ Cafe 939 in Boston on 14 May 2014. In July 2014, Cherry Wine appeared on the soundtrack to Zach Braff’s movie “Wish I Was Here.” Listen to Zach Braff’s commentary on choosing the song. Another photo of Hozier from the series by Dara Munnis. In Track-by-Track, Hozier speaks about the inspiration for writing Cherry Wine and why he decided to go with the stripped down production of the live track. 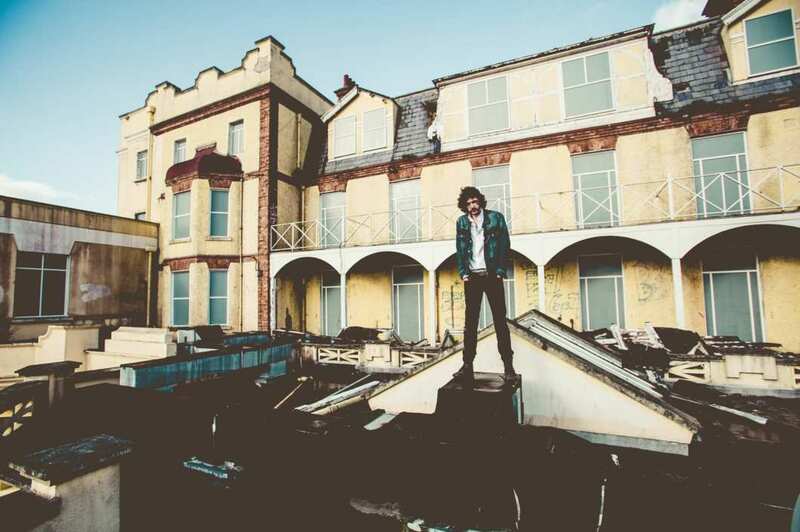 The morning light created a great mood for Dara Munnis to take these early Hozier promo shots. @Muckian @Hozier the trick was to not go to bed. From mid-2014 Hozier has been on a tour that will last until March 2016. In headlining shows, Cherry Wine is often placed in the encore. Sometimes, even Hozier himself can flub a line. Here’s a snippet of Cherry Wine from Milwaukee in February 2015. Cherry Wine has become a crowd favourite. The audience at his stop in Montreal touched him with their tribute. Montreal, you floored me tonight. Absolutely levelled. Thank you. In this video from the Ryman Theater in Nashville, the 2nd of 3 performances, Hozier gives a longer telling of the story of Cherry Wine in his introduction. The quiet nature of Cherry Wine is not always suited to a festival set. But, at Sunfest in West Palm Beach, Florida last May, Hozier made use of the ramp that stretched into the audience to make the performance more intimate. Hozier plays Cherry Wine on Nina a Takamine New Yorker P3NY. Here’s a lovely video that was done for the Cardinal Sessions last year. Sometimes an audience will react in unexpected ways. Hozier got a little thrown off his game in Leeds when the crowd spontaneously erupted. You’ll see his priceless reaction after the 2:55 mark. When Hozier came home to play Slane Castle in front of 70,000 of his closest friends, he joined them out on the catwalk for a Cherry Wine singalong. The audience had Hozier cracking up during Cherry Wine at his show in London this week. Finally, last night at the legendary Olympia in Paris, on the eve of the video’s 2nd Anniversary Hozier performed Cherry Wine to another enraptured audience. Happy 2nd anniversary Cherry Wine! You are loved. @megn0481 @HoziersGuitars extra stat, the cutaway half way through where I pass Andrew a guitar case is actually reversed. Tagged Cherry Wine. Bookmark the permalink.